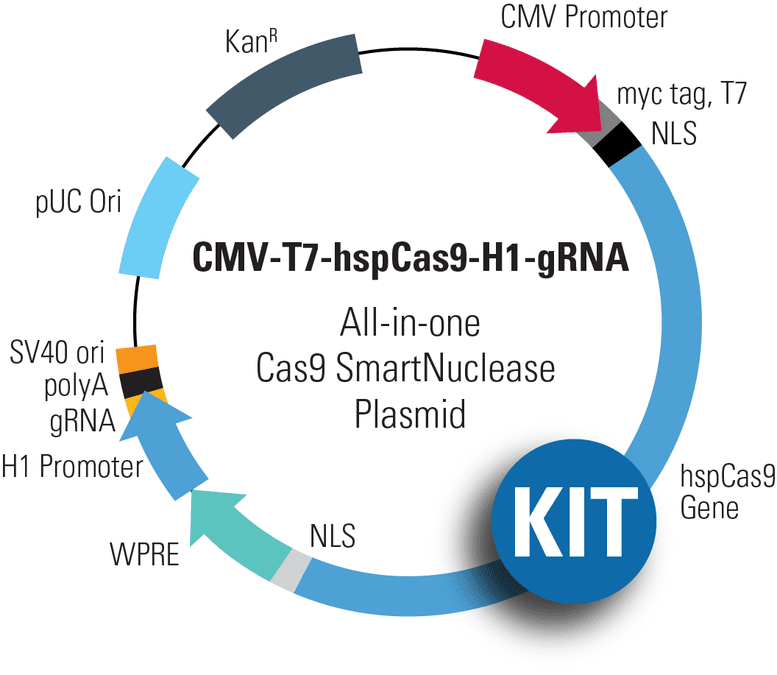 Easily enhance the power of the CMV-T7-hspCas9-H1-gRNA All-in-one Cas9 SmartNuclease™ Plasmid by combining it with the Multiplex gRNA Cloning Kit. Together, these two products can enable a wider range of sophisticated genome editing projects that require multiple gRNAs. As with all of our Cas9 delivery options, the CMV-T7-hspCas9-H1-gRNA Plasmid is functionally validated and comes backed by our expert technical support team—if you’ve got a genome engineering question just ask by emailing tech@systembio.com.